I have spoken to many landlords and would be landlords so far this year, many of them regular readers of this blog. I have spent much of this week catching up with many of them and there seems to be a change in the Aylesbury market. Some of these landlords have bought and completed already this year but are finding that the high rents indicated as achievable by the selling agents have failed to attract any tenants. Some of those landlords need to let swiftly from a financial perspective so are reducing the advertised rent...in turn for some this has made their monthly returns very marginal. Further the number of investors registering to buy has fallen dramatically. The chances of buying and completing before the Stamp Duty changes apply are ebbing away fast. If you buy today you need to have a proactive solicitor, a chain free property and if using finance a very good lender to stand a chance of beating the deadline. We are again seeing some price reductions creep on to Rightmove (Rightmove indicates there have been more than 40 price reductions in the month of February, about 10% of what is available), primarily from those agents that are over ambitious with their pricing in an effort to attract new business. So if the heat is coming out of over ambitious rental and sale prices where are prices going to go. The Brexit referendum looms large in June, elections always have a dampening effect on the property market and I expect the referendum to have a similar effect. Uncertainty is always bad news for the property market. We are all still a little uncertain of what impact the 2017 proposed tax changes are going to have...are we really going to see thousands of landlords off loading their portfolios as the media suggest? I think not or at least not locally. The demand for good quality rental property remains and is not going to go away, but tenants like the rest of us do not have ever deepening pockets, so I think we will see rents stabilise at their current (still high) levels. However if you are needing to achieve speculative high rents for your new shiny buy to let you may want to double check your figures, in particular if you are paying a high price. Remember the rules of supply and demand. Flat sale prices have been driven up by the lack of supply of houses NOT the strong demand for flats! As always if you are investing in property in Aylesbury seek out sound advice, many landlords discuss their purchase with me before proceeding. What is really the achievable rent? What work will I really need to do to maximise my return? Is this the right price to be paying? Will this location let readily? Whoever you turn to make sure they know the area and the lettings market. PS I am hosting a drop in session for landlords on Saturday 19th March 10.00am to 2.00pm at my Temple Street office. Keith Witchell of KRW Accountants will be on hand to answer tax questions along with a range of other property professionals. http://theaylesburypropertyblog.blogspot.co.uk/ to read further articles from my blog. 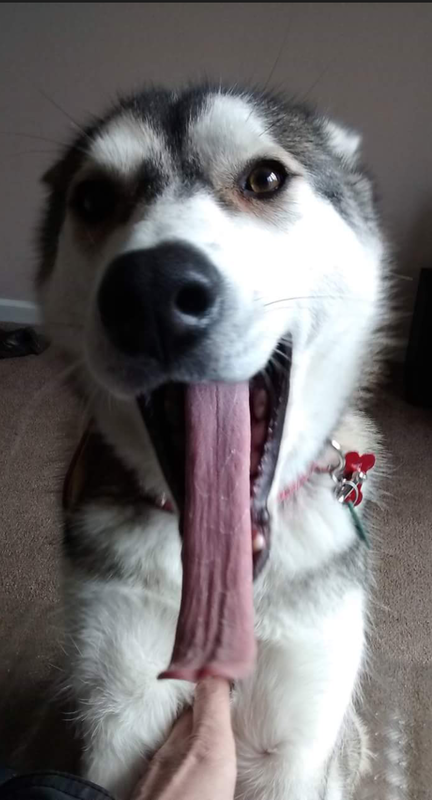 Is this the longest Husky tongue in the world? Inheritance - Is buying Aylesbury Property still the best place for my windfall? I had an interesting email from someone in Aylesbury a few days ago that I want to share with you. In a nutshell, the gentleman lives in Bedgrove, he is in his mid 60’s and still working. He has a good pension, so that when he does retire in a couple of years’ time, it will give him a comfortable lifestyle. He has recently inherited £250,000. One option he told me was to put the money into a savings account. The best he could find was a 2 year bond with the Post Office which paid 1.9%; meaning he would get £4,750 in interest a year. One of his other options was to buy a property in Aylesbury to rent out and he wanted to know my thoughts on what he should buy, but he had concerns as he did not want to take a mortgage out at his time of life. He was also worried about all the tax changes he had read about in the papers for landlords. Notwithstanding the war on Aylesbury landlords currently being waged by George Osborne, the attraction of bricks and mortar endures for many. As our man is a cash buyer, he would not have to concern himself with the cut to mortgage interest tax relief that will diminish, or even eradicate, the profits of many Aylesbury landlords. It is true he would face the extra 3% in stamp duty to buy a second property, but with some good negotiation techniques, that could soon be mitigated. I told him that buying an Aylesbury buy to let property is all about the total return on investment. True, he could put the money in the Post Office bond and receive his interest of £4,750 a year or, as he rightly suggested, invest in property in Aylesbury. The average yield at the moment in Aylesbury is 3.28% per annum, meaning our potential First Time Landlord should be able to, depending on what he bought in the town, earn before costs £8,199 a year. (However, I told him there are plenty of landlords in Aylesbury earning more if he was willing to consider more specialist investment types of properties – again, if you want to know where – look at my blog or drop me an email). The bottom line is that the success of investing in Aylesbury buy to let property versus a savings account with the Post Office (or whatever Bank or Building Society is offering the best rate) will depend on the performance of those assets. Unlike a savings account, with property the capital you invested can also go up (yes, it can go down as well – more of that in second). Property values in Aylesbury have risen in the last twelve months by 9.6% meaning, that if our chap had bought a year ago, not only would he have received the £8,199 in rent, but also seen an uplift of £24,000 in the value of his asset…meaning his overall return for the year would have been £32,199 (not bad when compared to the Post Office!). … but the doom mongers among you will say, property values can go down, as they did in 2008, and in 1988 and 1979. Yes, but after 1979 prices had bounced back to their ’79 levels by 1984 and went on to grow an additional 58% in the following four years. Then again, they dropped in 1988 and did take 13 years to reach back to those ’88 figures, but the following six years (between 2001 and 2007) they then increased by an additional 66%. Now, according to the Land Registry, average property values in Buckinghamshire currently stand 19.33% above the January 2008 level, and anecdotal evidence suggests that in the better parts of Aylesbury, we are well above these levels. … and what would that £250,000 buy you in Aylesbury? A smart 2 bedroom terrace close to town , a great 2 bedroom house on Fairford Leys or Watermead ... in fact, the world is your oyster. But then you need to decide what is the right property to maximize your returns. As ever the blog has articles that cover that point but for more detailed current discussion email me or pop in when you are passing. I was out walking Nala the husky at the weekend in the fields that run alongside the golf course on Fairford Leys daydreaming of less muddy warmer days to come! I have only just started walking her off lead as Huskies are notoriously difficult to train to come back and she had approached a man some distance in front with his dog. Once I had caught them up I realized I knew the other dog owner from my days as a publican locally. Many years since we had bumped in to each other but we used to enjoy telling each other tall stories and sharing a pint or two. I did not realise but he is a regular reader of this blog so it was not long before we were discussing property and the current market. He wanted to know my thoughts particularly on the future of the Aylesbury property market. He was of the opinion that the Buy To Let market was becoming saturated and that tenants were going to be spoilt for choice. But people are always going to need a roof over their heads and somewhere to live will never go out of fashion – it’s a necessity for every single person. The 22 to 30 year olds of the town have a choice of what type of roof they have ... they can rent from the Council, they can rent from a private landlord, they can live with mum and dad or finally they can get a mortgage and buy a property. In the 1970’s/80’s and 90’s, the expected thing was to save like mad for two years for the deposit (going without luxuries) whilst living at home or renting an inexpensive two up two down, then buy your first house. However, more recently fewer Aylesbury youngsters have been buying, choosing to rent instead – mainly from private landlords (as Councils have been selling off council housing on the Right to Buy Schemes). The numbers are truly staggering ... and I want to share them with you. Roll the clock back 20 years and Aylesbury was a very different place. There were 23,261 households in Aylesbury and 15,581 of those were owner occupied. Move to the present, and with all the building in the town, the total number of households has increased by 24.1% to 28,877 and quite surprising, the number of owner-occupiers has increased to 19,022 (although as a proportion, it is only 65.8% compared to 66.9% twenty years ago). However, it is the rented sector that is truly fascinating … twenty years ago, only 1,064 properties were privately rented in Aylesbury ... and now its 4,701, a rise of 3,637. The twentysomethings of Aylesbury have not been helped by the local authority selling off council housing, with the number of council houses dropping from 5,030 to 1,254 over the same twenty-year period. Demand for good quality rented property remains high, as Cameron’s much vaunted house building program is years away and has decades of under investment to catch up on before it starts to affect demand. Even with the Buy to Let tax rule changes over the coming few years (which will see the maximum tax relief available to higher rate tax paying landlords drop from 45% to 20%), private landlords still have an important role to play in housing the people of Aylesbury and those who treat it as a business will survive and prosper. The best way Aylesbury landlords can protect their income from property, (and mitigate the affects of the tax rises) is to keep the homes they let out in good condition. I have found, especially over the last three or four years, that Aylesbury tenants have ever growing demands from their rental property, but many are prepared to pay ‘top dollar‘ for houses and apartments that meet those high expectations. You must not forget, letting property in Aylesbury (in fact anywhere) is a business, so all landlords should seek the advice, opinion and commentary of property professionals. I have spoken to several landlords recently persuaded to purchase property on the basis of inflated rental figures or outlandish expectations of capital growth. Do your research carefully, understand the location you are buying in and make sure that what you buy suits your portfolio requirements. Just chilling in my favourite spot. What is the future for investing in property to let in Aylesbury? The truth is that many investors have become lethargic, with many having mistaken the ever rising Aylesbury (and in fact the whole of the UK) property market since the 1960’s as the eternal gift that keeps giving as property prices constantly rise and double every five to seven years. The days of making money from property as easy as falling off a log, are over . Whilst our dear friend George Osborne has decided now is the time to milk UK’s private landlords, with changes in taxation for buy to let property, many pundits are predicting the end of buy to let as we know it. However, it is still possible to make a reasonable, profitable and safe return on property when these changes commence. I have always seen investing in the Aylesbury buy to let market (as I would anywhere in the UK), as I might see Mother Nature, creating some truly wonderful stunning warm weather but at the same time, she will bite, creating catastrophic situations such as snowstorms and hurricanes. You need to study the market, take advice and opinions from many people and then decide what the property weather will be … remember, tenants will always want a roof over their head and I don’t see the Government building the millions of houses required to house them. Nobody knows the future, and yes people can predict but I would not be afraid of this change... because as a famous French proverb says, ‘the more things change, the more they stay the same’. No one could have predicted how the property market has changed in Aylesbury over the last couple of decades? Looking specifically at the Aylesbury Parliamentary Constituency, twenty years ago, 27,875 households (meaning 69% of property) was owned and only 1,049 households were privately rented (meaning 2.6% of property was rented out by private landlords). Roll the clocks on twenty years and the change has been substantial … Now 29,915 of properties in the Constituency are home-owners (69.15% being owner occupied) but the jump in private renting has been out of this world, as 6,538 properties are now privately rented (proportionally 15.19%). Neighboring Constituencies show similar changes as well. Who would have predicted in 1995 that the private rental sector in Aylesbury would have grown by 484.23% in the proceeding 20 years? The property market is constantly changing and buy to let has often been heavily dependent solely on house price growth, where yield has taken a back seat. I see the changes in tax and landlord/tenant law in a different perspective to the doom-mongers and see it as bringing many opportunities. You might need to change your buy to let outlook, your approach to financing, but this will shine a light on investing in properties with healthier yields and create realistic long term buy to let opportunities, instead of short term growth bets and wagers. 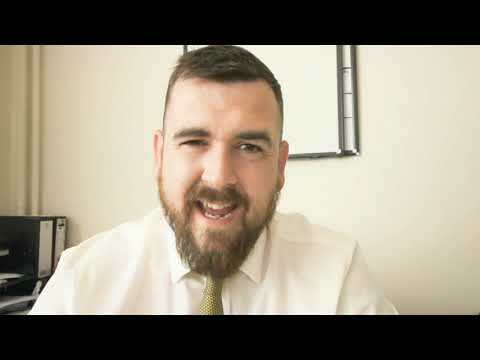 The advice I give to my landlords… these changes will make some landlords panic, meaning competition for attractive Aylesbury buy to let bargains will reduce as fear of change kicks in and uninformed investors flee the market. These opportunities will provide a more stable platform for knowledgeable Aylesbury buy to let landlords to thrive in. As the New Year celebrations fade as a distant memory and we all struggle to stay on track with those resolutions made it is frightening to realise that we are already well in to February. Scary! At the weekend I met up with an old school friend I had not seen for 30 years. We both still live in Aylesbury but our paths have not crossed until recently. Turns out he has built a small property portfolio locally and is considering another purchase so it was not long before we found ourselves discussing the local market. His goals are similar to myself and most of my landlords…enhance retirement income, hope to have a strong enough portfolio to help the children get on the ladder when the time comes and see a small monthly return in the meantime. Before I could advise him, I reminded him that the most important thing when considering investing in property is finding Aylesbury property with good rental yields for income return, yet at the same time, it must have the potential for capital growth from rising house prices over time. Going further into 2016, Aylesbury landlords will be under more pressure to find the best combination of yields and capital growth, as extra stamp duty charges for buying properties and a squeeze on mortgage interest relief will raise their costs. Before we look at yield and capital growth, one important consideration that landlords tend to overlook, is the possibility of future rent increases. Interestingly, the average rent of an Aylesbury property currently stands at £919 per month, which is a rise of 6.0% compared to twelve months ago (although it must be noted this rise in rents is for new tenancies and not existing tenants). Anyway, back to yield and capital growth, the average value of an Aylesbury property currently stands at £305,100, meaning the average yield stands at 3.15% per annum, which on the face of it, many landlords would find disappointing. That is the problem with averages. If I were to look at say 2 bed houses in Aylesbury which are the sort of properties a lot of landlords buy, in Aylesbury, the average value of a 2 bed house is £239,700. The average rent for a 2 bed house is £865 per month, giving a yield of 4.33%. However, if that is not high enough for you, there are landlords in Aylesbury who own some specialist properties with specialist tenancies, that are achieving nearly double that yield – again it comes down to your attitude to risk and reward (give me a tinkle if you wanted a chat about those sorts of properties – although they can be fun and games!). Ultimately most investors want to be making gains from both rent and house price growth. When combined, the rental yield and capital growth gives you the return on investment, and that is what I told my old school friend. Return on investment is everything (ROI). Property values in Aylesbury have risen in the last year by 8.7% …. which means the current annual ROI in Aylesbury for a typical 2 bed house is 13.03% a year .... not bad. See, I can be well behaved! I will soon be running a drop in clinic for landlords giving you access to a wide range of property advice from accountants and other property professionals and exclusive packages, details to appear here on the blog soon. Held at our office space will be limited. Doom and gloom for Aylesbury property investors? One of my landlords rang me last week from Stone, after he had spoken to a friend of his. Over the last few weeks, they have been discussing the Aylesbury property market and neither of them could make their mind up if it was time to sell or buy property. If you read the newspapers and the landlord forums on the internet, there is a good slice of doom and gloom, especially with changes in the taxation towards landlords, new legislation on checking tenants and the general uncertainty in the world economic situation. There are landlords in Aylesbury who have borrowed heavily in the last few years with high percentage loan to value mortgages. Those landlords with a modest profit will start to suffer, as their modest monthly positive cash flow/profit, i.e. income (rent) less costs (mortgage, fees, tax), will become negative as the tax and mortgage rates rise throughout 2017 and beyond. It is these landlords that are most likely to sell some of their portfolio before the new tax regime begins. There are landlords who have treated the Aylesbury Buy to Let market as a sure bet and have not approached it as a business. They will struggle in the new environment of higher taxes and interest rates. These are the people who will be thinking twice. I see lots of opportunity for the informed investor; it is going to be an exciting year ahead. Gone are the days when you could buy any old house in Aylesbury and it would make money. Yes, in the past, anything in Aylesbury that had four walls and a roof would make you money because since WW2, property prices doubled every seven years. Since January 1997, the average price paid for an Aylesbury apartment has risen from £36,059 to today’s current average of £151,070 in the town, an impressive rise of 319% .Terraced houses have risen in the same period, from £55,268 to £238,011, an even better rise of 331%. However, look back to 2005, and in that year, the average flat was selling for £131,854, meaning our Aylesbury landlord would have seen a modest rise of 19% and the terraced owner would have seen an increase of 72%, as they were selling for on average £137,077 ... not bad until you consider inflation. Since 2005, inflation, i.e. the cost of living, has increased by 33.4%. That means to retain its value, Aylesbury terraced property bought for £137,077 in 2005 needs to be worth £182,818 today. Therefore, our landlord has seen the ‘real’ value of his property only increase by 38.6% (i.e. 72% less 33.4% inflation). Therefore, it is sensible that anyone considering investing in property carries out some serious research using independent investment expertise. An agent you are buying from is going to tell you what you want to hear not what you need to know! You can still make money by buying the right Aylesbury property at the right price and finding the right tenant. However, remember, investing in Aylesbury property is not only about capital growth, but also about the yield (the return from the rent). What are we waiting for? C'mon lets go! What has my landlord in Stone decided to do? He is looking to buy property before the Stamp Duty thresholds change in April. Oppurtunities do still exist in the Aylesbury property market. Two studio apartments being sold occupied with AST's in place as one lot. Hard to tell condition from the agents details but the location is close to town and rental would not be a problem. If these are of interest you would need to contact the selling agents direct , not me. If you would like to talk facts and figures through please give me a call, as always if you are passing I am happy to put the kettle on!